This category covers interior or exterior plastic components incorporated in the design of automotive products. Electrical and electronic appliances also fall under the scope of this category. Plastic parts incorporated in the design of cars, truck or motorbikes which are made of recycled materials are eligible. Sector of application is not limited but the products must be made of recycled plastic materials. Appliances like washing machines, vacuum cleaners and coffee makers are examples of products which can be submitted as well as automotive products. Plastic products used in construction destined both for outdoors and indoor applications are covered within this category. A wide range of products can be submitted, including flooring, piping, window frames, insulation, roofing, doors, wall coverings, landscaping products, outdoor furniture, etc. Durability of the products as well as the value added in terms of sustainability for the building & construction sector will be the key aspects by which the products will be evaluated. Any plastic product present in households and used for everyday activities, including leisure activities and sports, or any other product that improves everyday life falls under the scope of this category, Domestic goods, sports and leisure equipment, fashion accessories, furniture and any other product, apart from electronic & electric appliances, can be submitted, apart from electrical & electronic goods which fall under the scope of their respective category. This category covers products used for consumer plastic packaging. Entries with innovative designs that respect design for recycling aspects are encouraged. This award will be presented to an inspirational individual who has made an outstanding contribution to the European plastics recycling industry in the last 12 months. This category is open to industry professionals, politicians, civil servants, NGO activists, citizens or any other individual dedicated to advocating for and advancing the recycling of plastics. Please nominate individuals you feel would be worthy of such an honour. Note: You are not able to nominate yourself. This category covers technology innovation which has brought significant improvements in the field of producing recyclable plastic products or incorporating recycled materials in product production. The technology innovation will be judged based on, among other aspects, the effectiveness, efficiency, innovation, performance, quality and profitability of the process. Any technology development which helps overcome current obstacles of recycling plastic products or which incorporates the use of recyclates in innovative high-end applications, qualifies under this category. Within this category, innovative machinery advancements which increase the efficiency and effectiveness of plastic recycling processes can be submitted. 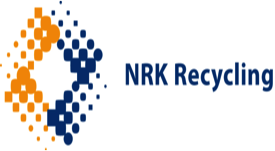 Developments and innovation in the fields of sorting, grinding, shredding, washing, filtering, extrusion and other stages of the recycling process can be submitted. The machinery will be judged based on, among other aspects, the effectiveness, efficiency, innovation, performance, quality and profitability it brings to the overall plastic recycling process. INTERSEROH Dienstleistungs GmbH and EREMA Engineering Recycling Maschinen und Anlagen Ges.m.b.H.